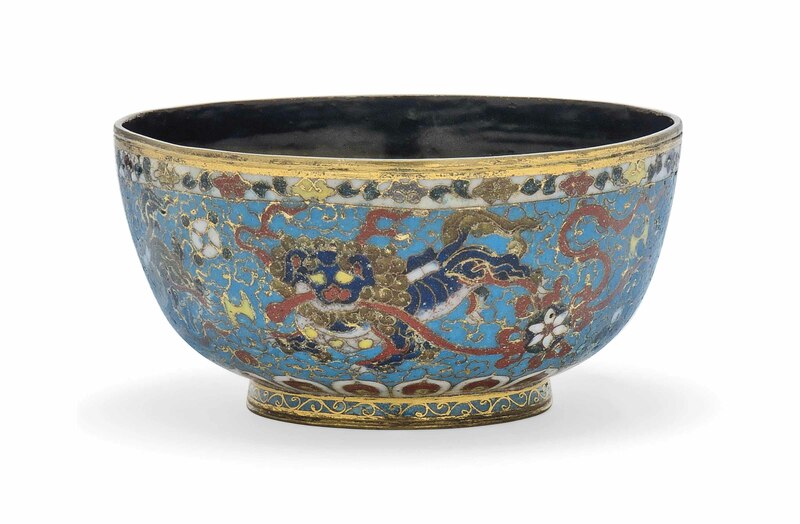 The bowl is supported on a straight foot and has rounded sides, it is decorated to the exterior with four mythical beasts amongst scrolling foliage, all reserved on a vibrant turquoise ground. 5.1/4 in. (13 cm.) diam.